My sin is nailed to the cross. When I think about these truths, I just want to shout and sing to the Lord. To God be the Glory for the great things He has done! Meditating on His forgiveness empowers me to face the challenges of this week with fresh faith trusting that my Father leads me and guides me to accomplish the good works that He has prepared for me to do. These universal truths are open to you today too! No matter how far away we may feel, the One who Created us is always near. No matter how dirty we feel, the One who Saves us has made us clean in Christ. No matter how burdened we feel, the One who Frees us has canceled the charges against us. No matter how downtrodden we feel, The One who Triumphs has given us victory in Christ. May these truths dwell in our minds and pour out in praise and good works! The long night of grief carried me to places I never would have found, if God left my faith untested. The author of Lamentations writes of new mercies every morning, but in the darkness of loss: the loss of my child, my ministry, my friends, my first home, my job, many mornings came that left me bereft of comfort and unable to see God’s mercies at the time. If I was to make it, I had to take it one step at a time, one day at a time. He never forces us to come to Him. The unforced rhythms of His grace guided my tattered, wearied self to a place of rest. For a time, He let me soak up His Word fresh and new like it was the first time I was reading it. He comforted me as I learned to simultaneously cry and sing praises to His name. Slowly, the dawn broke, and I, literally, started running. My husband and I ran a half marathon together, and we are planning on running the Flying Pig Marathon! Running seemed to jump start my recovery. One may be tempted to think that it had just been enough time. As it’s been said, “Time heals all wounds.” This isn’t true. Emotional and spiritual wounds are much like physical wounds becoming gangrenous and septic. We begin leaking anger, bitterness, jealousy, and envy killing relationships and our own ability to experience freedom. Although, unaware of the origin, we become slaves to the wounds we’ve tried to forget about. Recovery from our hurts, habits, and hang ups takes work. For me, I found a step by step discipleship program, Celebrate Recovery. It’s for everyone!!!!! It does take time, one step at a time, but we call it a journey because it never ends and we must do the work to get to where God is calling us. As healing moved me through grief to flourishing faith I discovered Bible Journaling. I bought a simple pack of colored pencils and markers. I began doodling while meditating on scripture. By the time I was finished drawing and coloring, I had the verse memorized and more color and joy in my heart than ever before! My story isn’t finished, and neither is yours! Mine didn’t end in grief, and yours doesn’t have to either. It can move through grief and loss! Now, I know that there are more hardships and griefs that will come my way, but I’m prepared. I understand that, if we allow it, suffering will wean us off the breast of sin, so that we can feast on the sufficiency found in Christ. Suffering can strip away besetting sins as we learn to depend on Christ. The promise from God isn’t that if you follow Him that you will avoid suffering. God promises that He will be with you THROUGH suffering. Your story isn’t finished! Look in the mirror and see a person worth redeeming! Pick up the Bible and read it with your name in it. Notice, worth not worthy. If you look at yourself and see your failures, that’s OK, because your actions, thoughts, and behaviors have nothing to do with your worth. God decided we are “worth” saving. He’s the one who paid the cost. He did the work. And, through Christ, He frees us from being corrupted by the world. If I can trust God to move me THROUGH grief to a flourishing faith, you can too! All you have to do is take one step today! Do it one day at a time. Remember to rest not quit! Nehemiah 8:10 is a powerful verse. It’s even more powerful when we know the context. Like the nation of Israel during the time of exile, all of us face the consequences of sin in our lives. Sometimes it’s our sin that causes devastation. Sometimes someone sins against us, breaking down the walls of our identity, confidence, and dignity. The book of Nehemiah opens with him in great grief over the indignity of Jerusalem’s broken walls and burned gates. His sadness was so great that the King says to him, “Why does your face look so sad when you are not ill? This can be nothing but sadness of heart.” Nehemiah answers the king with such passion that the king allows him to not only go rebuild the walls, but gives him letters for safe passage and the resources to rebuild. Now we may be tempted to skip right on over to chapter 8, but then we miss the process of rebuilding. Just like rebuilding the walls of Jerusalem, rebuilding our walls of identity, confidence, and dignity takes work. It’s a process of laying the foundation of truth, building on knowledge, and testing faith. And, no one gets to skip steps. Builders who take short cuts make houses that fall! Then he accessed the damage. He dealt with many negative people, who mocked and taunted him, and when that didn’t work, they made up lies about what he was doing. Then, he and the others left in Jerusalem worked hard. They slowly laid brick upon brick. Then more exiles returned. They took a census. Finally, they read the Scriptures. They realized that they were to observe the festival of Booths., and Nehemiah and the Priests of the Law made the powerful proclamation to rejoice, to celebrate with food and sweet drinks. Let us not fall victim to a false dichotomy. There are more options than either grieving or rejoicing. We can do both! We are ALL at different places on the road of recovery. Some of us are admitting that our lives have become unmanageable and we need help. Let me rejoice over you that you have come to a place to begin the grieving process. Something bad happened and you need to rebuild. Some are dedicating their walls to the Lord, and for you, I will rejoice with you. For the person who is somewhere in between, I want to remind you that it’s okay to do both: grieving and rejoicing. It’s called resilience. If you are at a place to smile, smile for the Lord! 4 years ago, after my fifth child was stillborn, I stepped onto the road of grief. Along the way, I have met many travelers enduring different trials, but we, together, found God. With every step, we endured life’s many griefs and lived the truths of James 1:2. In February 2018, I ran the Mercedes Half Marathon, and the next week, I started spiritually running too. The Lord said, “It’s time to write.” So, I started blogging again. Then, I wrote a devotional, Whispers of Rest in the Storm. A few months later, Energion Publishing accepted my manuscript and my devotional will be published in March 2019! Since, the end of June the blog has been silent because I picked up a paint brush. It all started when I began doodling during my daily Bible study. Connecting the Word with being creative opened up a playground of healing with the Lord and His Word for me. I started having fun! A few friends asked to paint with me, sparking brave steps of faith. What if I could combine my desire to teach the Bible and paint? What if the Lord wanted to use me to inspire others on the road of life to endure grief and consider that the joy of the Lord is their strength? Flourishing Faith Designs was born. 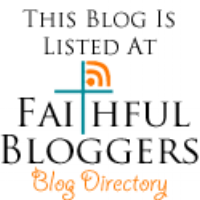 I am excited to invite you to come along with me on the journey of Flourishing Faith Designs! Like the Facebook page for daily inspiration! Check out the Flourishing Faith Shop on Etsy to buy a customized painting with your choice of scripture! Book me for a night of fun connecting scripture with painting! Need a speaker for your Women’s Ministry event? I would love to share the Word or my testimony of how God walked with me from grief to flourishing faith! Keep reading the blog as I face new trials and grow in endurance as God continues to complete His good work in me! Keep watch for Whispers of Rest in the Storm coming March 2019! Being a mom is one of the most rewarding and terrifying responsibilities in my life. From the moment I found out that I was having a baby girl, I’ve made it my mission to heal my past wounds and grow emotionally and spiritually, so that I don’t pass on generational trauma. Honestly, being a mom is scary. The difference between me being a first-time mom and a fifth-time mom is I expect to make mistakes, and I’m ok with it. I know that there will be times that I leave the diaper bag at home, and a trip to the Wal-Mart for diapers and wipes doesn’t reduce me to tears. A few good doses of rash cream clears up the diaper rash before the end of the day. Forgive yourself. I understand forgiveness and mercy more fully. I know my own sleep deprived mishaps and misunderstanding, so I forgive myself and others more readily. As a first-time mom, I stressed and beat myself up for not being perfect, but slowly, as I learned to laugh at myself and my foibles, I truly began to enjoy myself and my children. I have plenty of funny stories to share with fellow moms. My fondest memory is the Italian Restaurant. My husband and I were 5 months into our first pastorate in a small town, a sweet church with mostly older adults. We learned more than taught. Our first church graciously shared their wisdom and experiences with us. They didn’t despise our youth, but showed grace and love as we grew. After church, Jon and I decided to splurge and eat at the local Italian Restaurant. On the way, Katherine fell asleep. Thinking that she would nap through lunch, we carried her in the car seat, and we left the diaper bag in the car. As we waited for the food to arrive, Katherine woke up. She crawled from my lap onto the table. With her Sunday best pink lacy dress, white tights, and little black shoes at 5 months old, she wiggled and giggled. We were mesmerized by this little blonde-haired perfection, until we heard the first explosion. Of course, I quickly pulled her back to my lap, and Jon ran for the diaper bag. As I waited, she had three more explosions. Her tights were not white any more. The diaper bag hand off was quick as I dashed to the restroom. Of course, there was no changing table. So, being the great mom that I am, I looked around and tried to think, “What will be the easiest to clean surface?” The sink! As I slid her into the sink the automatic water came on, and she went to screaming. Now, I have a squalling poop covered wiggling wet baby in my hands. Laughing hysterically, I just started pulling stuff off and throwing it away as I balanced her on the edge of the sink. I walked back to find a very confused husband. I’m laughing, the baby’s crying! As I told him the story, we were both laughing. Now she’s 14 and still practically perfect to us. We are still mesmerized, and through it all I’ve learned to be the first to laugh at myself. Which is a good thing because teenagers love to laugh at their parents. The difference of a me as a first-time mom and a fifth-time mom is laugh first and everything can be cleaned. Laughter is a cure for almost everything! Many times in my life I have felt completely alone. I, alone, struggle with these thoughts and feelings and emotions. No one else has to go through this. Isolated in my pain, I turned inward. The crushing hurts of life weighed me down to the breaking point, and all that I had left was to cry out in anguish to the Creator. Have you been there too? Maybe not that dramatic… but you too. I finished my last personal bible study and started a new one on prayer. As I was studying Romans 8: 26-27 this thought struck me. When we pray, we never pray alone. The Holy Spirit prays with us. In our weakness, we don’t know what to pray. We cry out in heartache, confusion, or pain. We don’t know what we need or want sometimes, and the Holy Spirit prays for us according to the will of God. Not only the Holy Spirit, Hebrews 7: 25 teaches us that Jesus also intercedes for us. In the good times and the bad times we never pray alone. The highest motives possible from the highest Beings possible are constantly reaching on our behalf the highest throne possible. As I pray, today, I will concentrate on the “I Am’s” of John. Jesus is the way. He is the way maker. I run. For the first mile of every run, I hate it. I don’t want to go, but some where between mile 2 and 3 my body releases endorphins. It’s like I have to run long enough to convince my body, “Yes, we are really doing this. I’m not stopping, so help me out!” Then, I feel like I can conquer anything. That feeling keeps me working harder all day. Even though Monday is trash day, I have to start the week out right. I run past all those stinky cans. In preparation for the Peavine Falls run, I took on the big hill in my neighborhood. It meant that I couldn’t run as far as I wanted today, but eventually, I will be able to run the hill and run the distance. It will take time and training. Hopefully, by July 4th, I will be ready to run 4 miles up hill and complete the 8.2 mile race. Once, I got to the top of the hill God reminded me that running is a lot like walking in recovery. I looked down the steep hill and remembered a time I wouldn’t even think about walking up it, much less also running 3 miles. The first step of recovery from life’s hurts, habits, and hang-ups is walking out of denial. You don’t run up the mountain. You acknowledge the steep mountain in your life that you don’t want any more. Acknowledging the deep pain in our lives brings grief. We grieve because we finally acknowledge that we have been sinned against. We shouldn’t have been treated that way. We grieve because we finally acknowledged that we sinned, and we shouldn’t have hurt people that way. The grieving process takes some time, and for the first mile, you may hate it, but when you are ready, you will have the strength to conquer your hill. Like me, you will come to the place to earnestly believe that God exists, that you matter to Him, and that He has the power to help you recover (Celebrate Recovery Principles). This is where I am. Deep change takes courage. We have to be transformed. We have to stop thinking the way we always have. We have to be renewed. We have to learn to apply what we know to our behavior. God is good. He is patient. As Kai’s one year birthday approached, overwhelming anxiety enveloped me. Well-meaning people had already severely damaged my soul in grief, so we decided to take a vacation away from everyone to remember Kai on his birthday. On our way to Florida, we stopped to attend church at Passion City Church in Atlanta, and Matt Redman led worship that morning. As we sang, he gave us the back story of why he writes music. He told us that he knew what it was like to hurt. He told us that his dad died from suicide when he was seven years old and that shortly after, he was sexually abused by a predator. As an adult, he and his wife grieved the loss of four children because of miscarriage. This morning, I can’t help but think about the brokenness that sin causes. I think about my own sin. How many times have I harmed others because of my selfishness and pride? I think about how many times others have harmed me. I think about how prevalent sexual sin is. I think about how tempted we are to think that our sin isn’t as bad as someone else sin. I know that day three years ago, God ordained us to be there to hear Matt’s testimony. His honesty about his hurts heals my hurts. This morning, I was reminded that sin in the church shouldn’t hinder the good news of the gospel. It should display the great need for Jesus. None of us are a little good and need just a little bit of Jesus. The darkness of sin reigns in every heart, and Jesus is the only remedy. What if every Christian stood up and said what they once were? I once was an idolater, envious, jealous, pride-filled, angry girl, and the only thing that changed me was Jesus. He is my righteousness. He is my hope. No one and nothing else will save me from the muck and mire of sin. Today, I will meditate on Jesus. In him all things hold together, me and my church. When God exposes deep, dark ugly sin in the church, our brokenness tempts us to contribute failure on God’s part to protect the vulnerable. Without realizing it, we begin to ask deep questions of God’s character, strength, and abilities. Why does God allow evil? Why does God allow children to be victimized? If God made this world to be good, why is it so broken? If we do not stay vigilant, slowly the pillars of our faith will shake, and our conclusions to these questions may slowly draw us away from believing God to be good, trustworthy, and able to save. This is why Paul asks “God to fill the Colossians with the knowledge of his will through all the wisdom and understanding that the Spirit gives,” Col. 1:9. God’s will is for us to be able to chose good or evil. Although he made Adam and Eve innocent, he created them with the will to chose. And, like us they chose to rule themselves instead of submitting to God’s rule over them. God’s plan is to redeem all of humanity and creation through Jesus Christ. It’s that simple. God could chose to reprogram us to follow his will without question; therefore ridding the world of evil and the need for Jesus. This is tempting in light of horrific sin, but are we willing to live with the consequences. Without choice we loose the ability to desire God, to want to love him. We would become robots. Choice gives us a mutual relationship, where intimacy grows and we have the capacity to truly love. Now, we may respond by saying that if God is so powerful, then why doesn’t he intervene. This sounds great because He intervenes and babies are never stillborn, drunk driving accidents never happen, schools are never places where children die, and men are always trustworthy. Great! Problem solved, until his intervention keeps us from doing something we wanted to do. All sin seems small to the one doing it. How far should God go? Should he stop only actual marital infidelity? Should he stop it before a flirting comment is spoken? Or should he intervene for every lustful thought? Where do we want him to draw the line? We don’t like that consequence, so maybe God should just remove all evil people. What definition of evil people will we use? My definition, your definition, a child’s definition, an “evil person’s” definition… We have to use God’s definition. God would have to remove every person. None of us would be left to enjoy him and reflect his glory. His holiness prevents him from any relationship with sinners, and we’ve all sinned. We are left with accepting God’s will for us and creation. For a time, we accept that we live in this broken world with choices and consequences. We don’t like it, but this is why we learn to pray like Paul prayed for the Colossians. We must always be growing in our knowledge of God. I have found that many struggles stem from a lack of knowledge about God rather than a lack of faith. We don’t have faith for faith’s sake. Our faith is rooted in what God has revealed about himself. To know God, a good place to start are the names for God. One name is Elohim meaning God is the source. All of the power of creation is implied in this name. Everything he created is infinitely less. Think about the power, might, strength, beauty, and glory, we have seen in the world, and know that God is infinitely more than everything we’ve ever seen. Another name is Adonai “Lord” meaning Master or Owner. The title implies dominion on God’s part and submission on our part. Also, Jehovah “LORD” or Self-Existent is frequently used. He existed before creation. He is utterly faithful to His own nature. He cannot cease to exist. He never changes. Many times Jehovah is used as a compound name like Jehovah-Jireh, The LORD WILL PROVIDE. Our knowledge of God affects our prayers. Our knowledge of God reminds us that he cares about our needs, and provides for his own. In what ways has God shown himself to you? How does knowing the names of God change how you pray? The day after Thanksgiving my husband answered the phone. As he turned to look at me, his anguish washed over me. He didn’t have time to tell me much of what was happening. He left a room full of laughter and family to weep with those who weep. We have shouldered the burden of a six month investigation of the allegations from two girls in our church against a deacon. Thankfully, the girls spoke up and were believed before events became completely disastrous. As it is they will still have trauma, as will every church member. What do we do when life gets interrupted? Know… We know that God is good. I will shout it from the roof tops! I have never read one prayer in the Bible for someone to feel something about God! The emphasis is always on knowing God. Feelings are easily manipulated. Our faith is not based on feelings. We base our faith on the truth of who God is and what He has revealed about himself. My church family will meet in grief and brokenness and much sorrow this Sunday. Although our sadness will be evident, it will not shake our knowledge of an All-knowing, All-present, and All-powerful God. His ways are not our ways. My way would be to wipe all evil from the earth, but God’s plan is to show mercy and patience, not wanting any to perish. He wants all to come to repentance. Unfortunately, this means we must accept this sinful world as it is, and not how we would have it (Serenity Prayer, Reinhold Niebuhr). Allow ourselves to hurt… Most of us are not emotionally mature enough to handle negative feelings well. We brush hurt, pain, and sadness off as if they will infect us with disease. The writers of Psalms didn’t do this. They were honest with God about their emotions. They cried out for help. Blessed are those who know they are spiritual poor. If we want to love like Jesus did, we must refuse to be comforted. We must weep with those who weep for as long as they weep. Has this been difficult? Yes. Loving the survivors of this world costs us our comfort, ease, and sense of security. We must see things as they are. We see injustice. We open our eyes to the hurting. Sitting with those who are crushed in spirit is not a “fun time”. It means we lend them our strength. We allow them into the peace of our home and give them rest. We bind up their broken parts with truth. It means we stand up and speak out for the vulnerable. And, like Jesus, the world will hate you. For a time, the interrupted life is dark. The storm clouds will thunder and flash. But, we will not be shaken. We will stand firm in the gospel. God will lead us by the hand. We are not alone. Never are we alone. People are fickle, frail, and broken. Even the best of us have times of selfishness because of traumatic events. If we look to people to show us what God is like, they will fail us. Human love is a reflection of God’s love because we are made in his image, but our love can be affected by our moods, pride, stress levels, and broken places. Although, we have the ability to love, however, God is love. If God IS love, then he can’t be or do the opposite of love. In Him there is NO Darkness. In the midst of life’s hurts or the business of our lives we lose focus of the truth of God’s character. This leads to anxiety, depression, fear, and hurt. Meditating of the truth of who God is sets us free. I hope you will take some time with me to meditate on God’s character, allowing it to break the chains of wrong thinking and set your feet on stable ground. People in my life abused authority, neglected my needs, and expected from me things I could not give. God is not like that. He will never abuse his authority. He provides for the righteous and the unrighteous. And, he loves me so much that he knew that on my own I could never please him, so he sent Jesus to die in my place, pay the price for my sin, and then clothed me with his righteousness. Now, because I am in Christ, I can live a life that is worthy of my calling. I will exalt You, my God, the King! I will praise Your name for ever and ever. The Lord is faithful to all His promises and loving toward all He has made. The Lord upholds all those who fall and lifts up all who are bowed down.